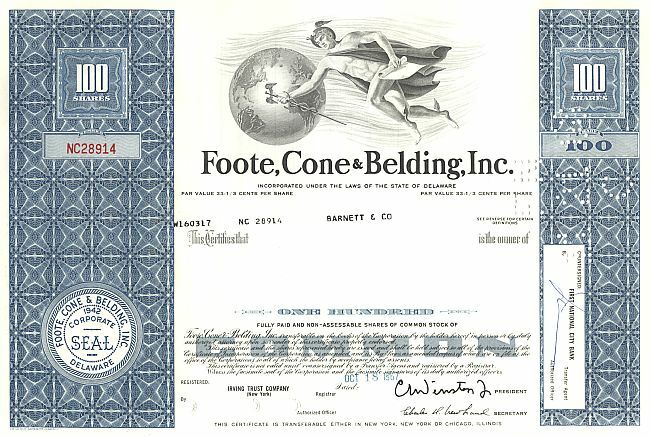 Foote, Cone and Belding Inc. Old stock certificates, US stocks from Media and Film Companies from the USA . Main page » United States » Media and Film » Foote, Cone and Belding Inc.
Foote, Cone and Belding Inc. 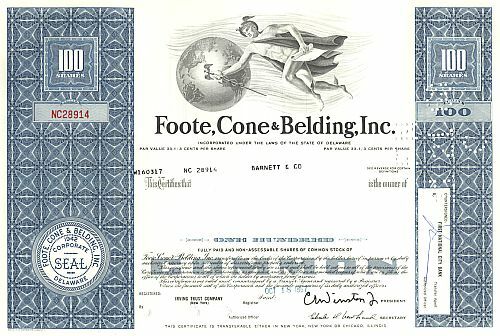 Founded in 1873, Foote Cone & Belding is the world's second oldest advertising agency with over 190 offices serving clients in 110 countries.